M4V is a video file format developed by Apple to encode TV episodes, movies, and music videos in the iTunes Store. The M4V file usually comes with Apple's FairPlay DRM copy protection for anti-piracy purpose. In more direct words, the DRM-protected M4V files are only viewable on iPhone, iPad, iPod, etc. but not on non-Apple devices. Consequently, many people are fed up with the protection and want to Unlock protection from M4V so as to play these iTunes videos on more devices. Generally, there are two kinds of iTunes DRM M4V movies, including the rented ones and the purchased ones. For the iTunes M4V video rentals, you shall be aware of the time limitations. Once you paid and downloaded the M4V movie from iTunes Store, you are advised to watch it within 24 hours, after hitting play. Or else, the movie will delete itself beyond the schedule time. Worse still, if you want to watch it at other times, please bear in mind the rented M4V movies are only allowed to keep within 30 days. But after removing iTunes protection from M4V, you can keep the rental movies without worrying about the expiration. Despite time is no longer an issue for the iTunes purchased M4V movies, they also leave you in dilemma since Apple's DRM-protected M4V video is only playable on iPhone, iPad, iPod rather than Apple incompatible devices. But if you Unlock protection from M4V video files, you can convert iTunes movies to MP4 that is viewable on Android tablets/phones, Windows RT tablets, PSP, Zune, Kindle Fire, etc. To clear DRM restriction from iTunes M4V video, a reliable DRM removal tool which supports to Unlock protection from M4V is required. 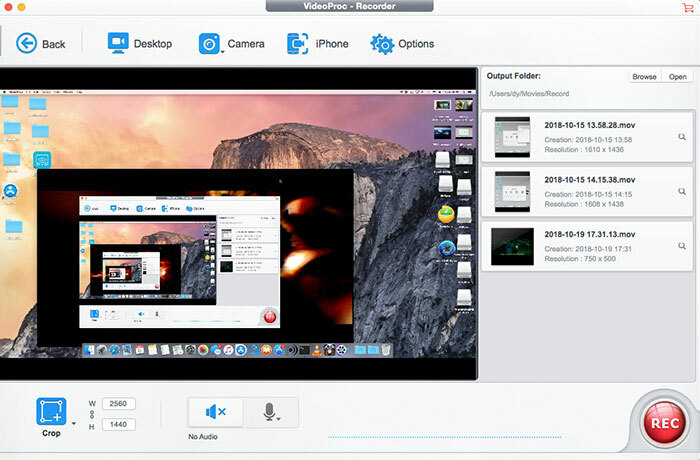 And MacX Video Converter Pro is what you are looking for. This excellent DRM converter kills two birds with one stone, which not only gets rid of protection by recording M4V video on Mac with lossless quality, but also convert the recorded video to HTC One, Samsung Galaxy series, Kindle Fire, PSP, Surface, etc at fast speed. Therefore, you can free your video library. After free downloading, installing and running this iTunes M4V DVD ripping software on Mac, hit the "Screen Recorder" button on the main interface. In this area, you are allowed to customize the capture area, add sound effect to your video, adjust video frame rate, select a target folder as output location, etc. Hit "Record" button, this iTunes DRM removal tool will start capturing activity on your screen within a few seconds. Once you finish the screen recording, the DRM will be automatically removed from the iTunes video on your Mac. After the process is over, you can eventually transfer iTunes purchases to non-Apple devices and watch iTunes movies on Android. Tips: By default, this DVD ripping software records the M4V video and saves it in MOV format. So if you want to play the recorded M4V video on other non-Apple gadget, you can choose "Add recorded movie to convert list" to add the recorded video to the convert list and then choose to convert video to MP4, FLV, AVI format or transfer video to Galaxy S4, HTC One, Kindle Fire, Galaxy Note 2, Surface, PSP, etc. Transfer purchases from iPhone to iTunes not working? Learn how to transfer purchases from iPhone (iOS 10/9/8) to iTunes 12/11 (apps, movies, music, books, other media) on Windows and Mac easily.